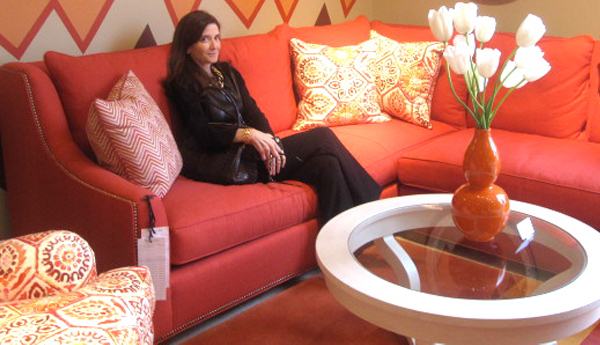 As many of you know, I attended High Point through a co-sponsorship between the market and upscale furniture manufacturer Wesley Hall. Kudos go to Cheminne Taylor-Smith, Vice President of Marketing at High Point Market Authority, for facilitating this marvelous match. I wasn’t familiar with Wesley Hall before this trip. As a to-the-trade company, they are a bit under the radar for many of us in the retail market. But they deserve to be known by consumers as well. A family owned and operated made-in-America business, they are involved in every aspect of their 20 year old company, with an unwavering commitment to quality and attention to detail that is second to none in the industry. 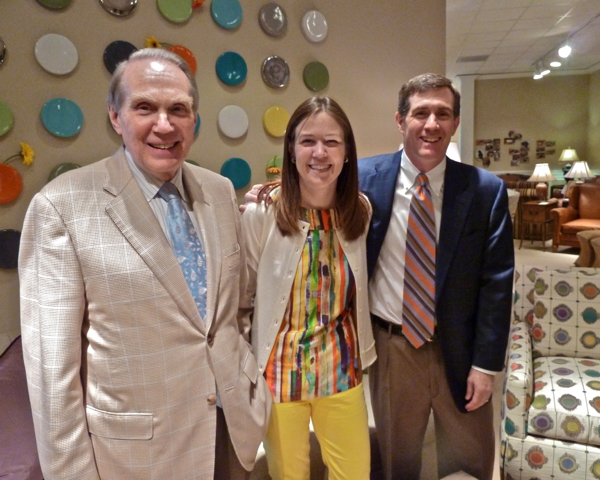 From left to right, chairman Ron Deal, daughter Anne Deal Bradshaw, the stylish Director of Marketing and her brother, President Eddie Deal. Missing from the family shot is Anne’s husband Patrick Bradshaw, who provides management support in all aspects of the business. Known for their exceptional service to customers and accounts, they are a fabulous designer resource, offering the quality of more expensive lines at friendlier price points. Hardwood 5/4″ maple fames, true eight-way hand-tied spring systems with solid webbed bases and feather/down throw pillows are all standard. One area Wesley Hall takes special pride in is their fabrics. They were ahead of the curve with their unabashed love of color and work closely with their domestic fabric vendors to develop exclusive patterns and colors for their line like the gorgeous chartreuse gaufrage velvet above. Below you can see the meticulous attention to detail in every exterior aspect of the finished piece. 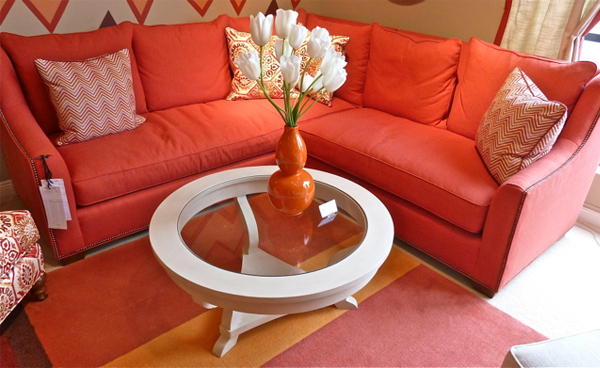 or fashionably family friendly, Wesley Hall does it all, with a high level of customization available to buyers. As a family business, they have the ability to be highly responsive to requests and can make decisions quickly, a god send to designers with tight schedules or specific requirements. With these fashionable fabrics, comes exquisite tailoring. Every pattern is cut perfectly, matching vertically and horizontally, front and back with couture touches such as dressmaker skirts with draper weights across the bottom and pelon linings to ensure a straight fall on skirts. 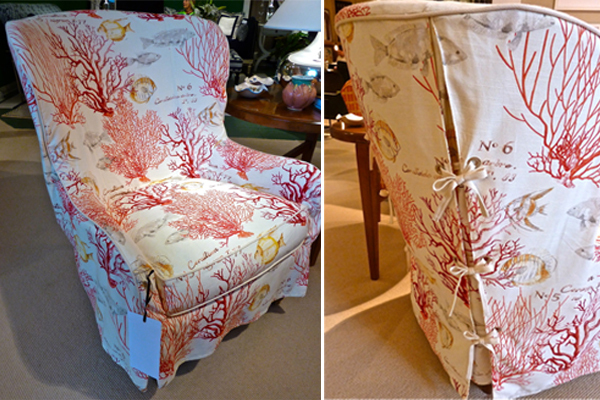 Their slipcovers are beautifully executed as well with thoughtful stylish touches. For a non case goods company, they pay extraordinary attention to the finishing of all exposed wood. With a variety of options, all finishes are hand applied in their state-of-the-art department, sometimes requiring as many as 30 unique steps. 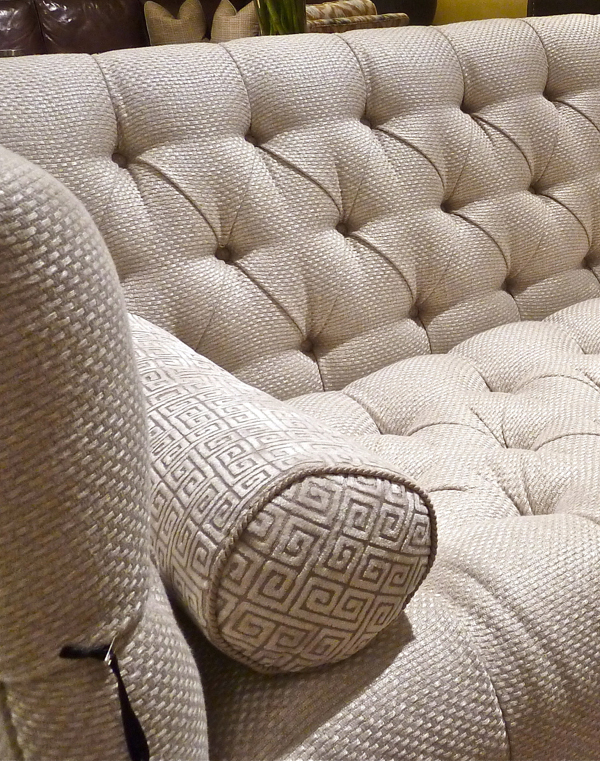 While the quality is exceptional on every piece, you can especially see the difference on those that are more difficult to execute such as tufted chairs and sofas. Note the beautiful linen sourced from one of the five oldest textile mills in France. 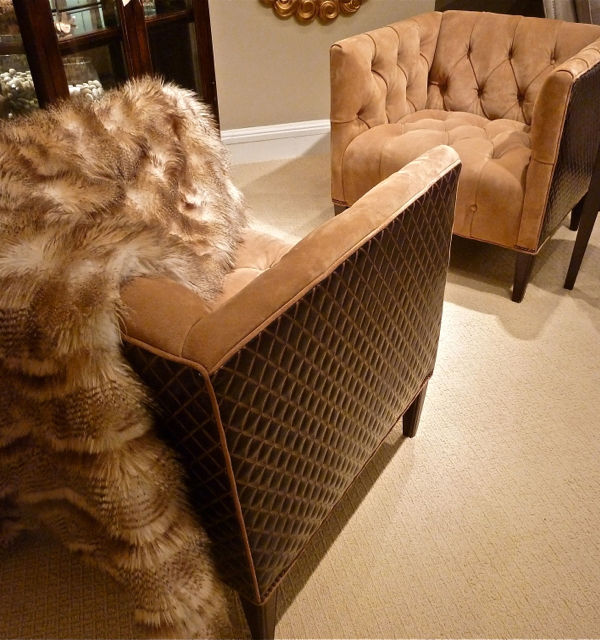 One of my favorite chairs was this luxurious tufted tuxedo chair in a sumptuous Moore and Giles suede and leather combination. So very chalet chic for fall! The exclusive artisan leather designed in Italy features a glamorous gold-tinted quilted hand embossing. Their love of color extends into an extensive collection of leather and suedes as well. 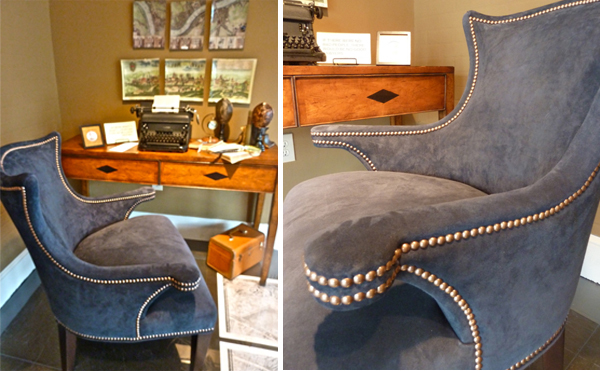 I loved this masculine vignette with this handsome blue suede chair, beautifully detailed. Of course comfort is a primary consideration. Seat and back cushions work together to enhance the perfect pitch and depth for the ultimate in comfort and support. but had a sink in softness that I had trouble leaving. Thanks to Liz Morten for documenting it. And if you’re looking for smaller occasional pieces, Wesley Hall has you covered as well. 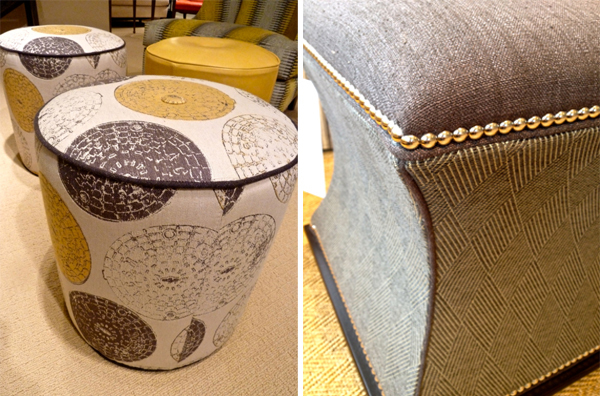 They have a plethora of smart looking benches, ottomans and stools, all executed with the same quality and detail. What a wonderful revelation Wesley Hall turned out to be!! I am so grateful to High Point for the propitious pairing! Whether you are a retailer, designer or style aficionado, I am sure you will find them a fabulous and friendly new resource! It's a Dog's Life with Jonathan Adler - a New Video Series! This entry posted in design, furniture, interior design. 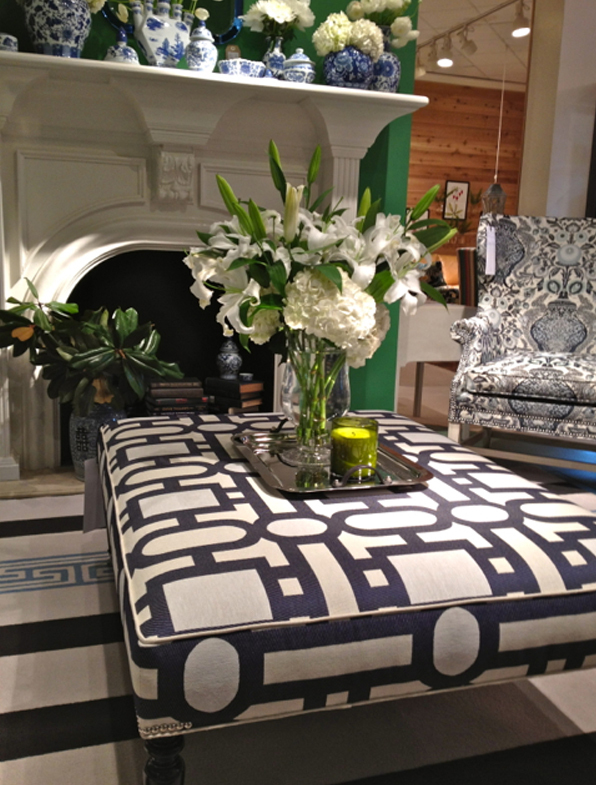 Entry Tags: Furniture, High Point Market, Home, interior design, Made in America, Upholstery, Wesley Hall Bookmark the permalink. Stacey I adore everything form this maker, the detail is astounding! I was not familiar with Wesley Hall, would love to acquire some special piece though! Beautiful details here and some lovely pieces. Wish I had gotten to go this year! What wonderful detail and incredibly high standard of manufacture. 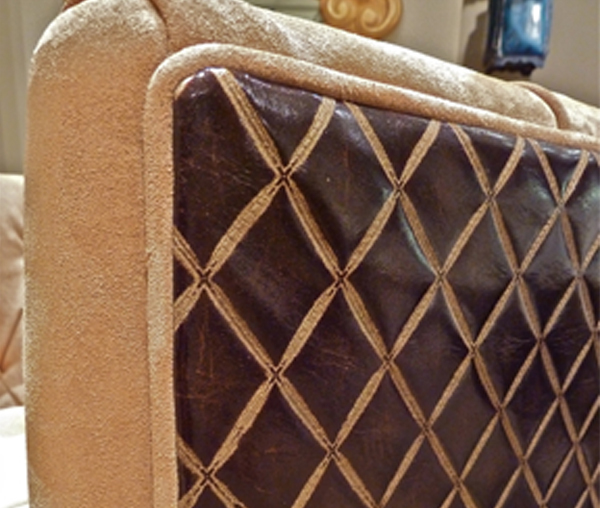 I have always believed that the the best quality upholstered furniture comes out of the USA. Only wish I could get it here ! 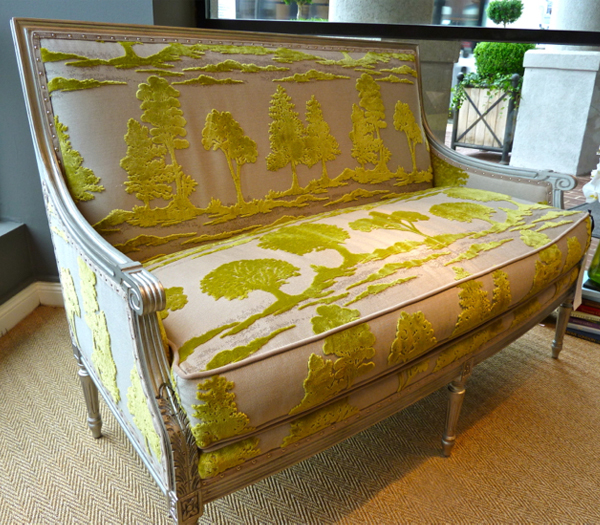 I have been watching that fabulous chartreuse gaufrage velvet sofa all market. It is so stunning and has popped up everywhere. It is one of those grand pieces that you could design a room around. That Liz Morton! What a gal! Fabulous Stacey! I was waiting for your write up and it doesn’t disappoint! Beautiful quality. 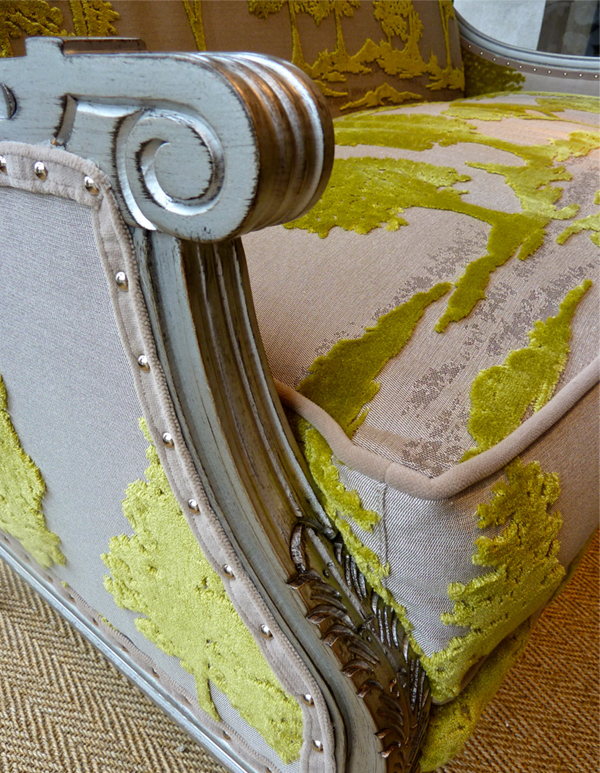 Love that citron raised toile setee! That fabric stops me in my tracks. Wish I could’ve been there to see it in person! Hope all is well Stacey! 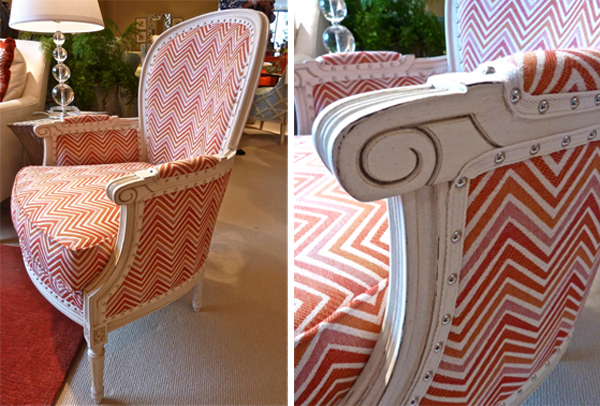 What an exciting find and love all the textures and colors of their fabrics. I’m bookmarking the site for my future “grown up” space! We love Wesley Hall, great of you to get the word out about them. Well made pieces and customizing is easy! Wonderful post! Stacey! I can honestly say that I love every piece here, and the quality is superb no doubt! 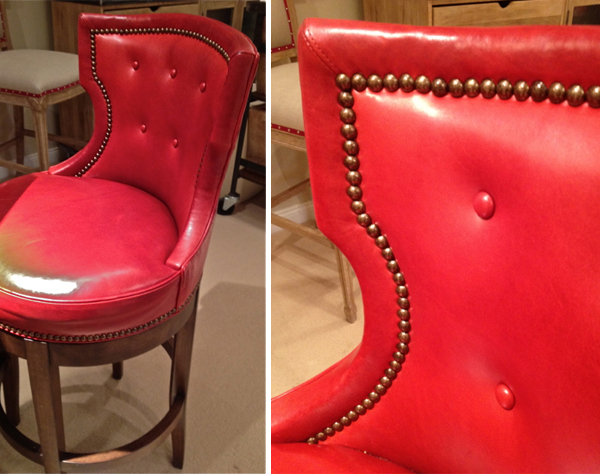 When I see a piece of furniture that is well made and beautiful like these, I am hooked. Liz gets around, doesn’t she? She is truly a fabulous lady. Great picture, and I LOVE that color! I so appreciate this behind the scenes look at Wesley Hall. Am completely flipping for their fabrics and designs. Love seeing you in the post, too!! 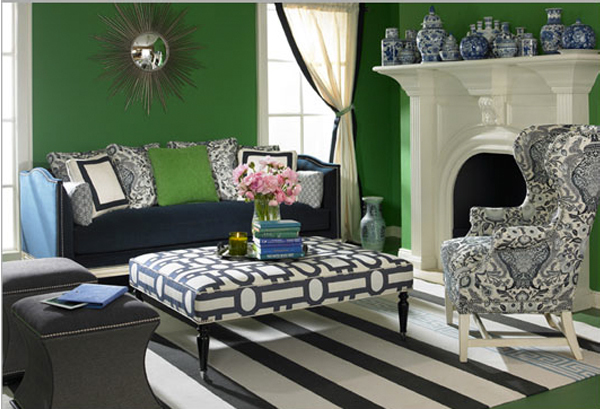 Loved that green vignette that they had – fun fabrics, great colors, and quality products will make them a go-to in my book! 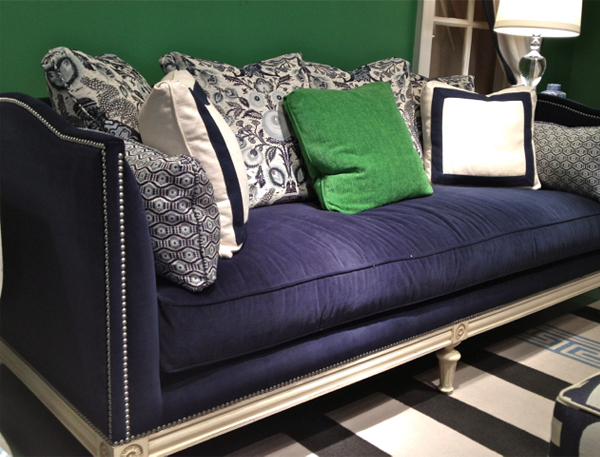 Seriously, that green velvet sofa was one of the prettiest things i saw at Market! LOVE it! Every piece is stunning! 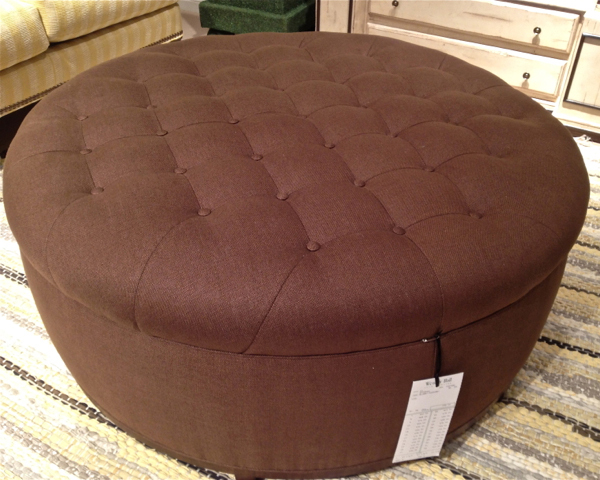 Now I know where to go for the perfect ottoman I have been searching for…thank you. Great market picks from our fav! 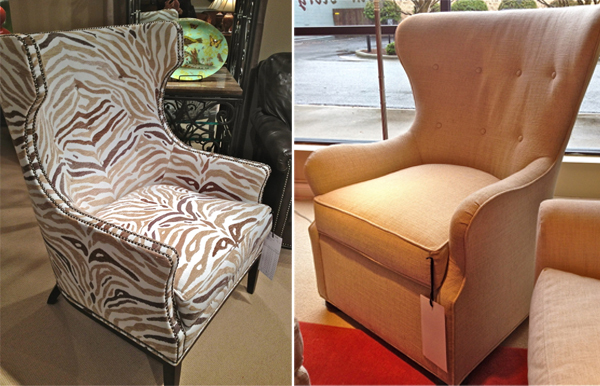 We love Wesley Hall here at Toms-Price Home Furnishings in Illinois!!! 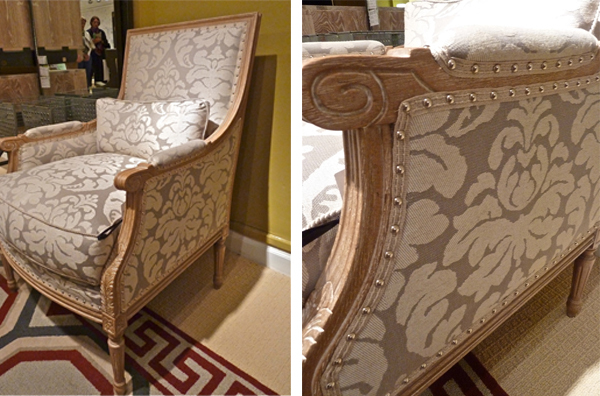 What gorgeous furniture and the attention to detail is amazing. 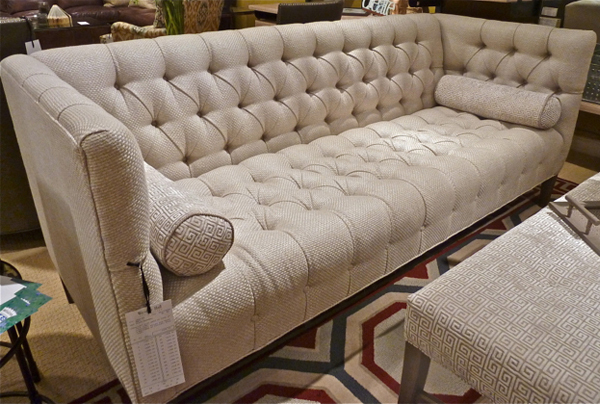 I am completely obsessed with the tufted sofa…fabulous!! I purchased a Wesley Hall sofa about 20 years ago and it is just beginning to wear. 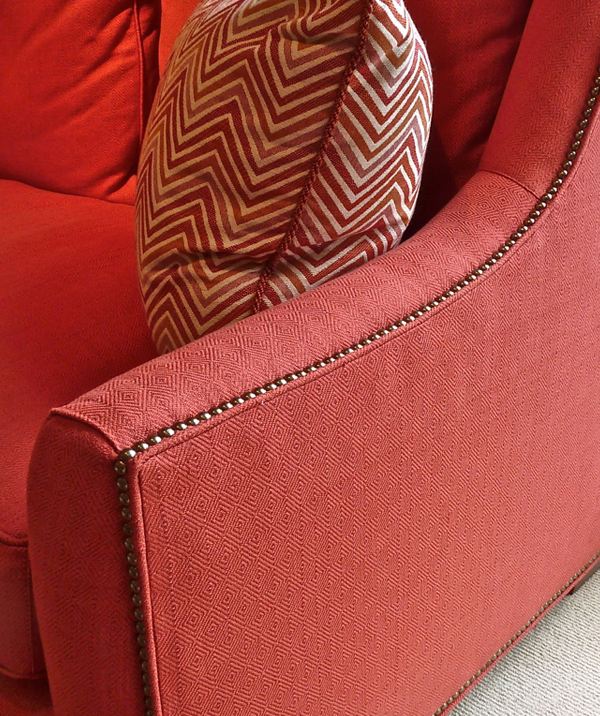 I want to purchase fabric from WH to have it covered and I really like the tuff sofa material. I have been so pleased with my sofa and no one believes it is as old as it is. 79 queries in 0.577 seconds.